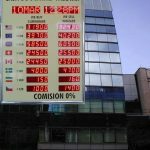 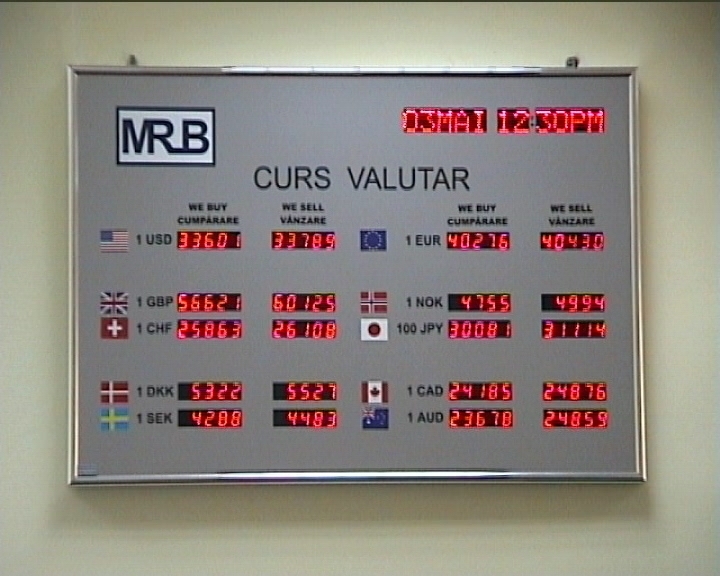 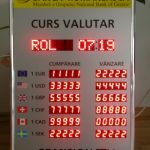 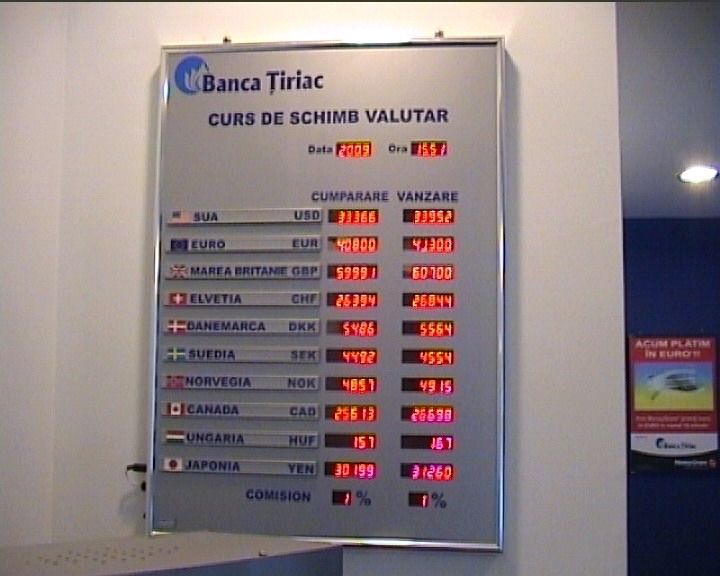 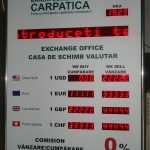 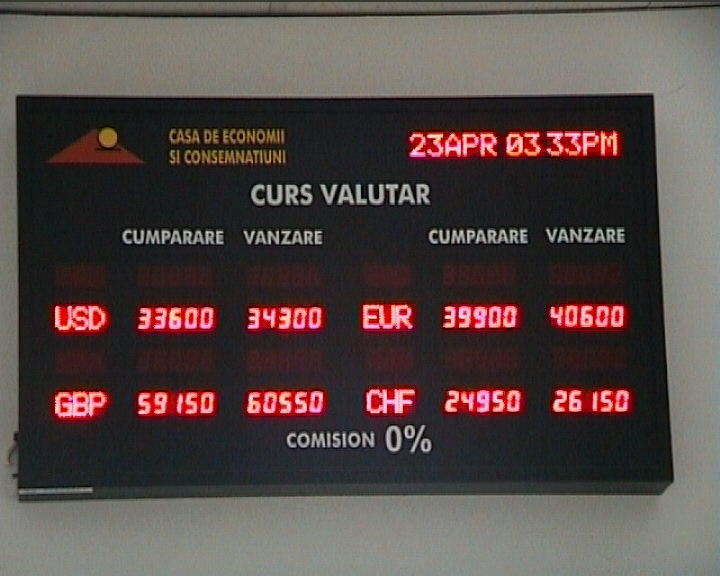 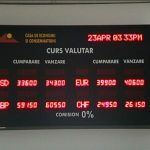 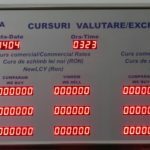 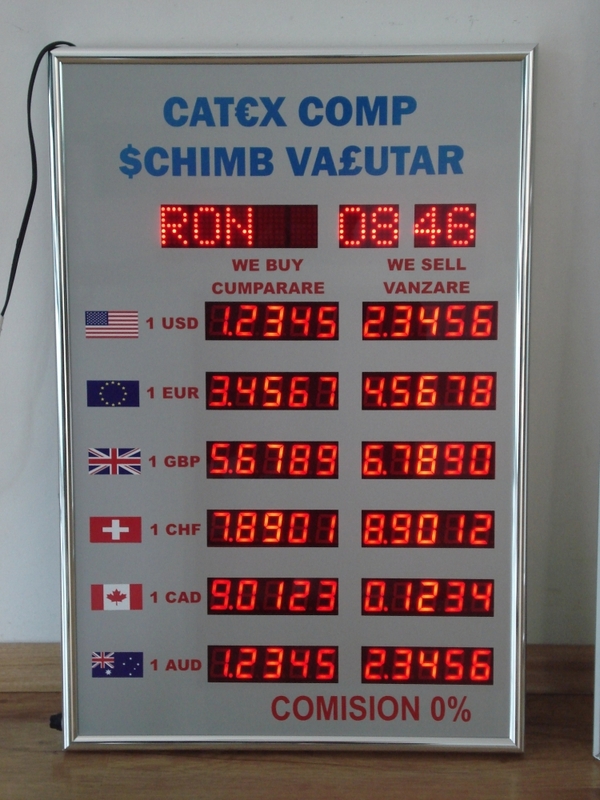 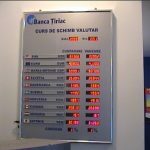 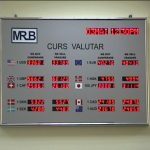 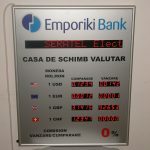 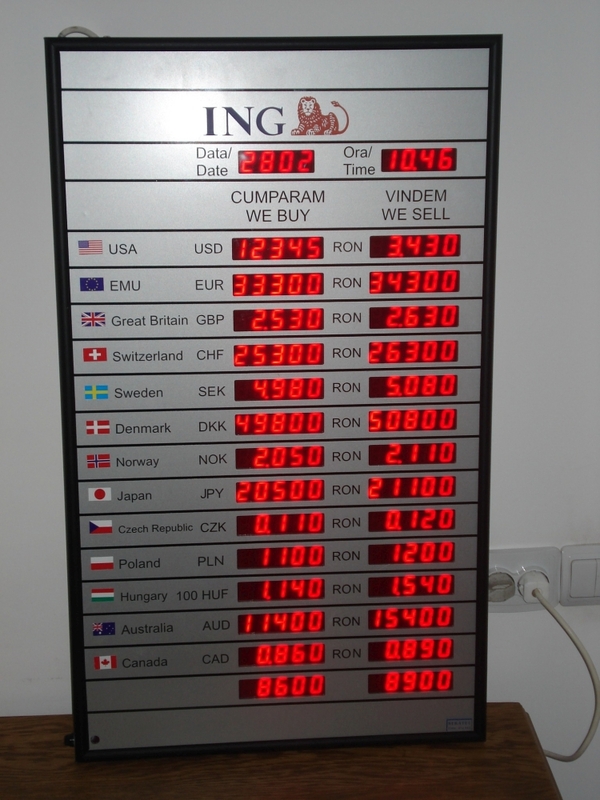 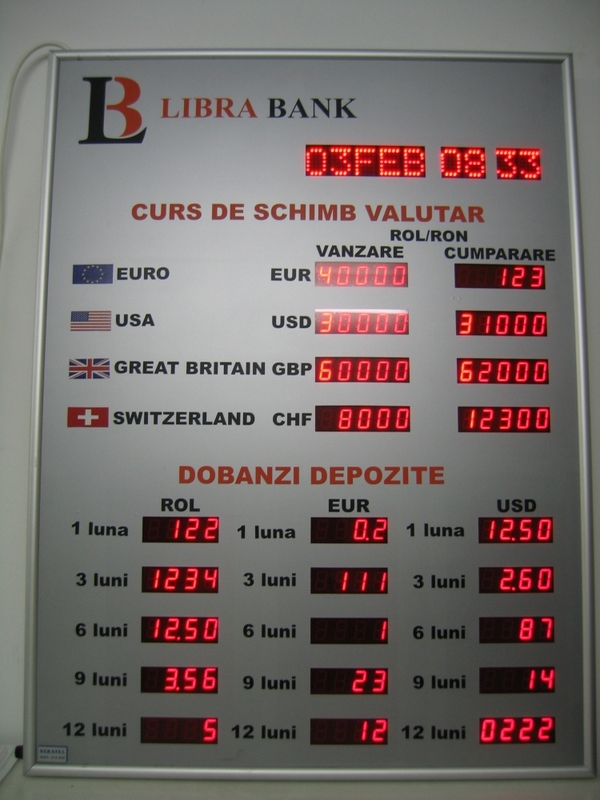 The currency panels are used by banks, exchange offices, pawn shops, hotels, etc. These electronic information panels can be customised according to customer needs and requirements. 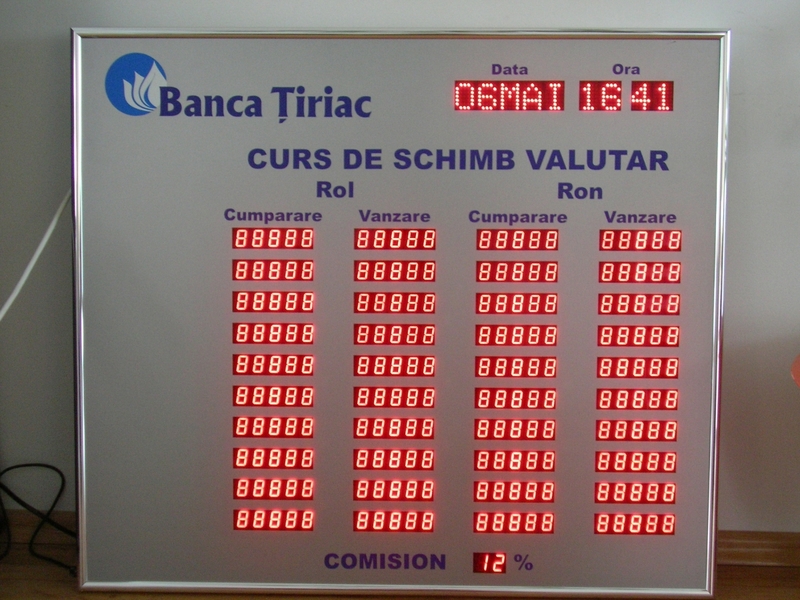 Used in banks and exchange offices. 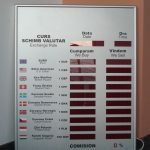 They deliver information from the computer, or, optional, by remote or both. 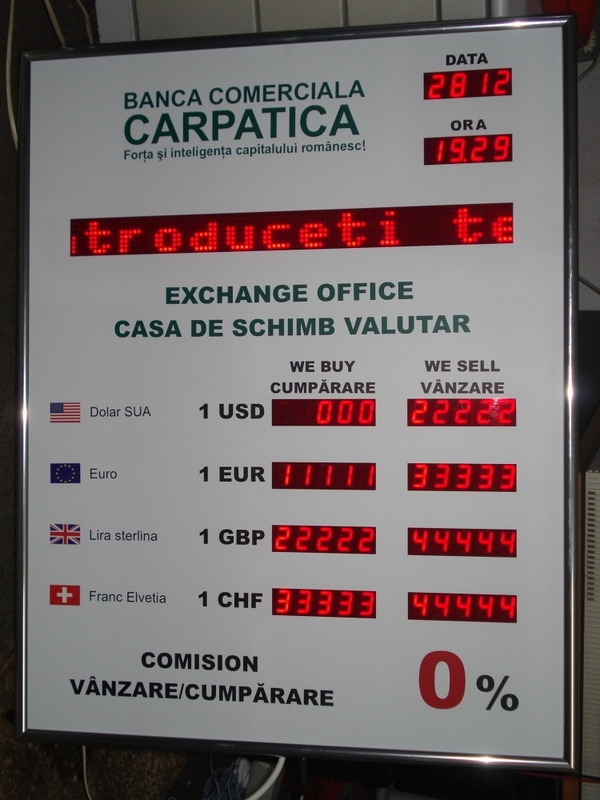 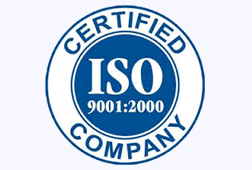 The information can be delivered on a 3-6 digit figure, both for the selling and buying rates. 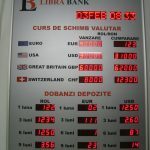 There is a 7 segment figure type with decimal dot. 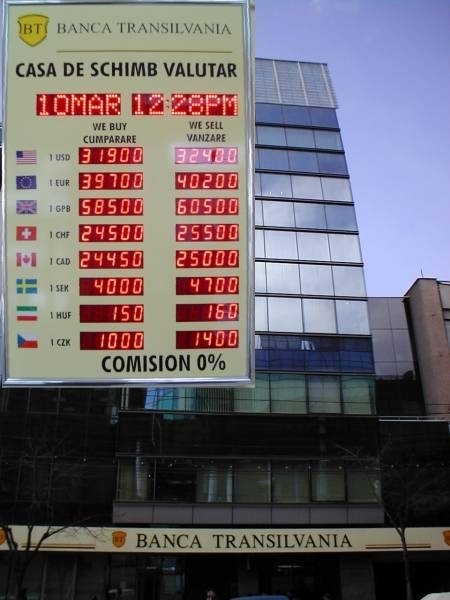 The height of a character is optional. 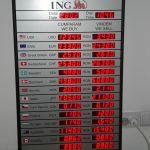 The panel has a plexiglass or bond interface and is decorated with adhesive label. 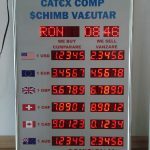 There is possibility of altering the currency order as well as the national flag. 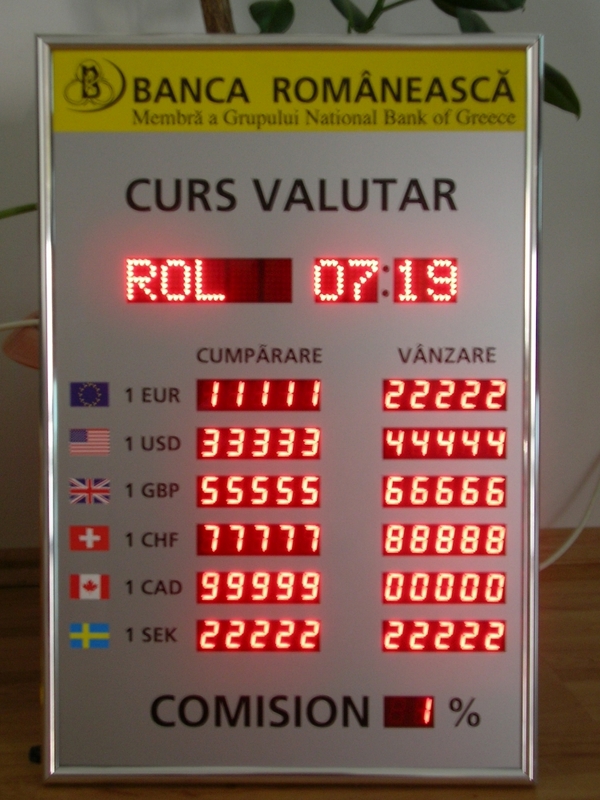 The framework is made of anodized aluminum. 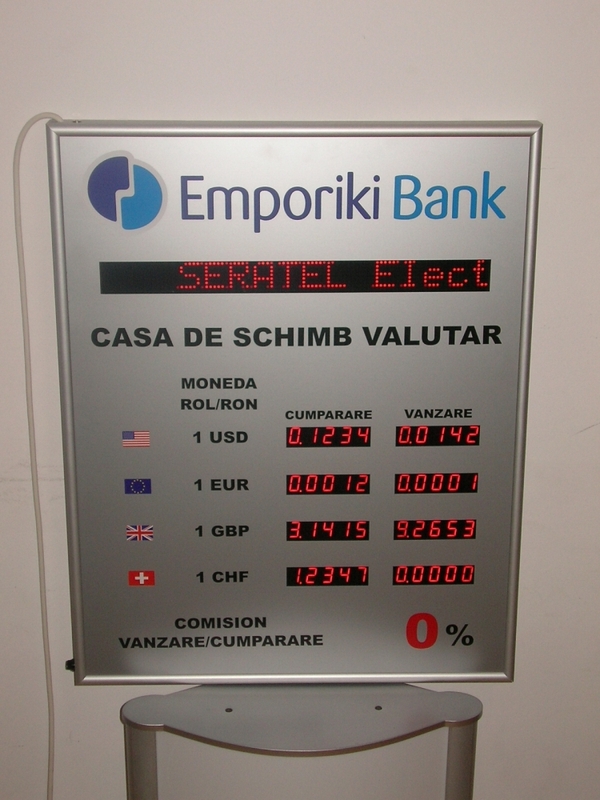 It can also display the commission electronically in order to be subject to one modification for the delivery of the information. 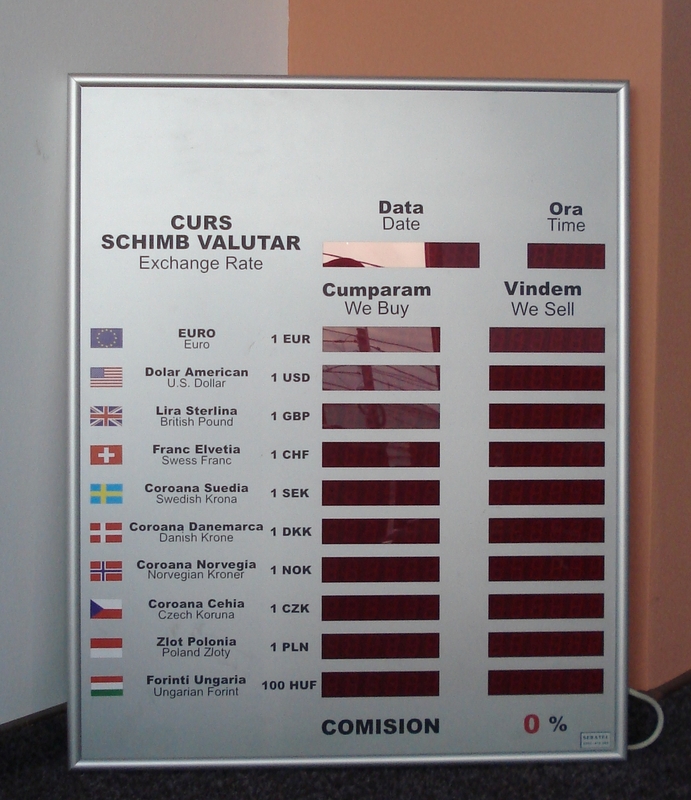 Nonvolatile memory which stores the information for 10 years. 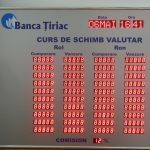 Optionally it can display time, date.